“No flowers shall grow where oil shall flow” .. here we have Beefheart/Don van Vliet at his environmentalist best. When I was 14 we took a family trip in our silver van out west driving for hours and hours until we came to New Mexico when the landscape began to change. We drove to the Petrified Forest National Park and saw the Painted Desert and I can assure you Don van Vliet traveled there too. Captain Beefheart is a great poet of the western deserts and Los Angeles. I heard in an interview that he felt Bob Dylan was second rate … perhaps too straight forward for the Captain. Van Vliet preferred Dylan Thomas and Philip Larkin, his was a poetics of experience and the mysticism of nature, leavened by a salty down-to-earth humor and hilarity that runs throughout his work. 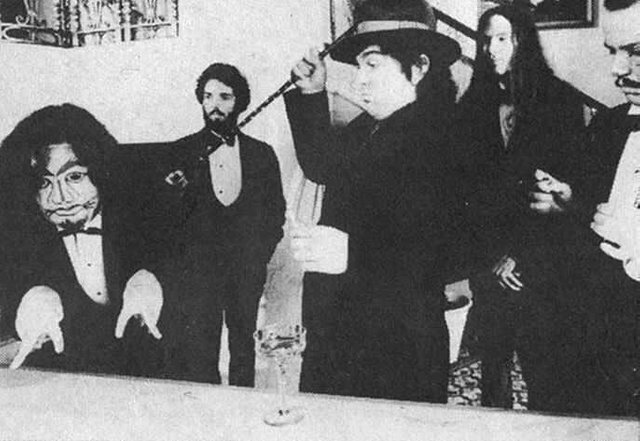 Basically it seems to me that along with Dr. John and Van Morrison, Beefheart formed a triumvirate of psychedelic literary white bluesmen mining their relation to African consciousness and the South. Beefheart, as he sings on Sho Nuff 'N' Yes I Do, was “born in the desert, came on up from New Orleans”. If we draw lines separating culture and ethnicity in the name of authenticity, we lose out on the hybrid forms we can find when we celebrate each others' heritage. Beefheart, Dr. John, Van Morrison and others were innovative in their use of the blues medium. By claiming it as their own they enriched the form. 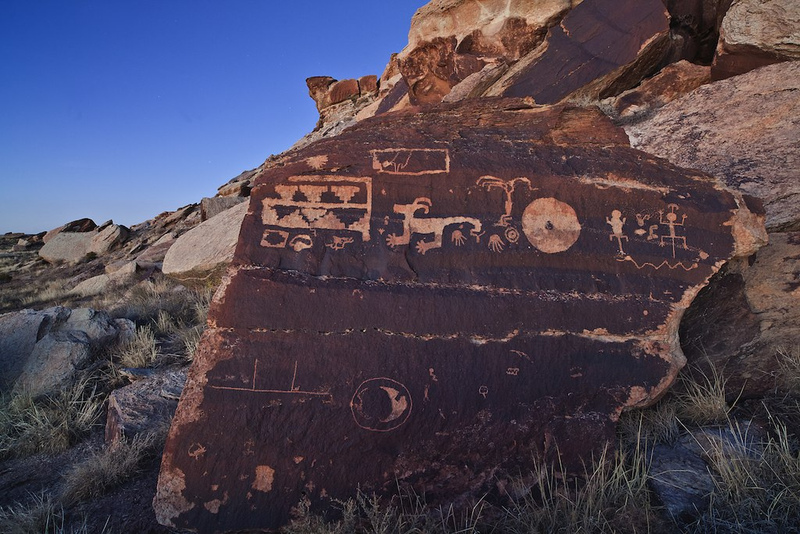 The ancient petroglyphs on the rocks of the desert tell the story of a lost world and contain secrets we can only see if we tune into their wavelength. The Bundy Bros of the world who seek to desecrate and wipe out these signs are the true primitive souls whose eyes are closed, who breathe in but don't breathe out. They are lost because they cannot see the beauty of the world and only seek to claim and destroy it. “The rug’s wearing out that we walk on” .. here Beefheart is warning us that death will come for us all and that we are destroying the planet in our stupidity. “Must the breathing pay for those who breathe in ‘n don’t Breathe out” .. we are chained to the zombies who have no soul, the extractionist financial elite who are killing the planet because their greed is stronger than their will to live in a beautiful world for everybody. “If the dinosaur cries with blood in his eyes ‘n eats our babies for our lies” - here Beefheart is saying let it come down, if we must destroy the Earth, let the wild forces, the awakened dinosaurs and dragons, tear down the “petrified forest” of man's inhumane skyscrapers. Ashes to ashes and dust to dust. Too sweet! I just joined SteemIt and figured I'd search Captain Beefheart, because he's one of my favorites and I want to see how cool this community is. Your post did not disappoint. Its not often that I get to read interpretations of the Captain's lyrics. There are book loads of interpretations of the lyrics of other people, ESPECIALLY BOB DYLAN. So its refreshing to see someone write an essay about this great track from Lick My Decals Off, Baby! Thanks a lot. I've known about Beefheart forever but I just kinda started listening closely recently and got on a Beefheart binge .. also posting here. So glad you liked the post. Maybe I'll do more lyrics interpretations soon.